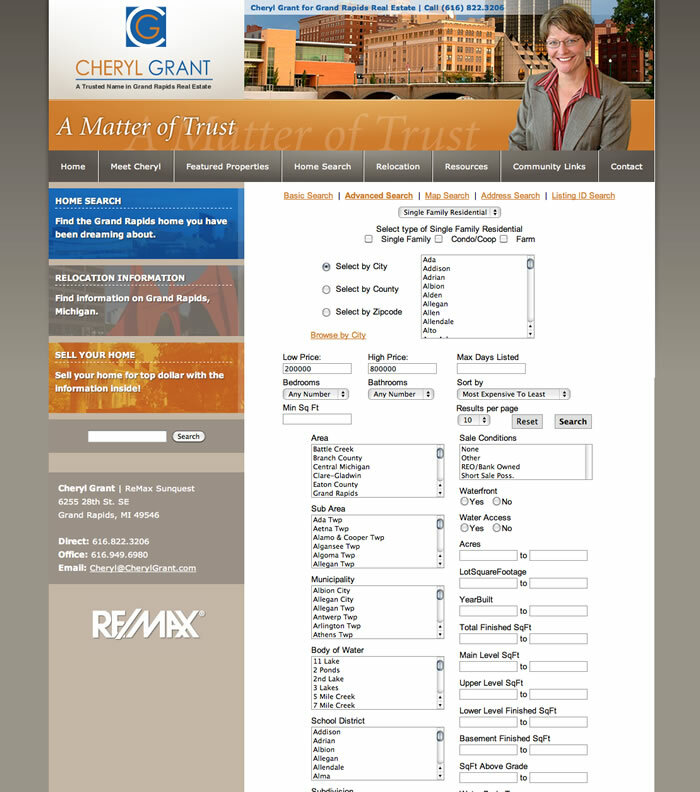 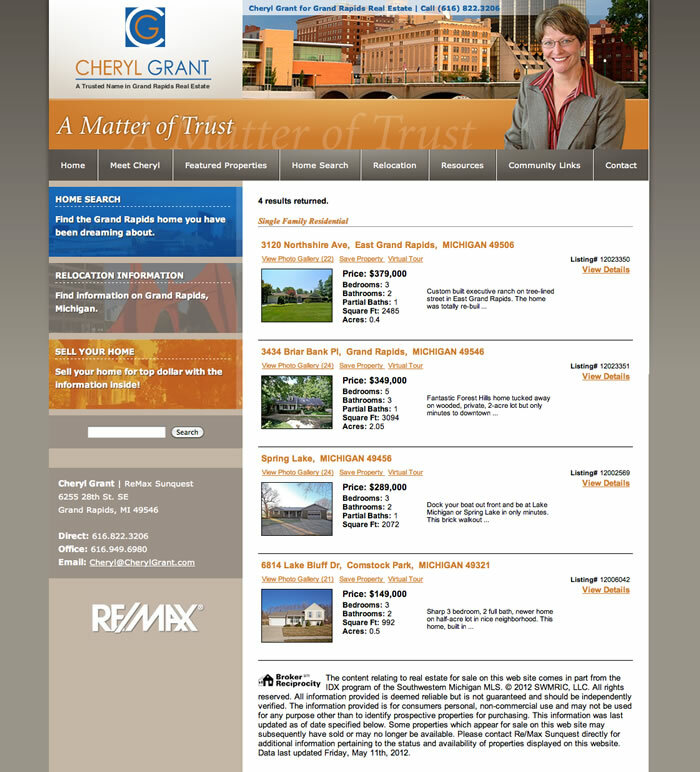 After seeing how we assisted her broker, and looking to promote her real estate offerings in the Greater Grand Rapids area on the web, Cheryl asked the Imagination Factory to help. 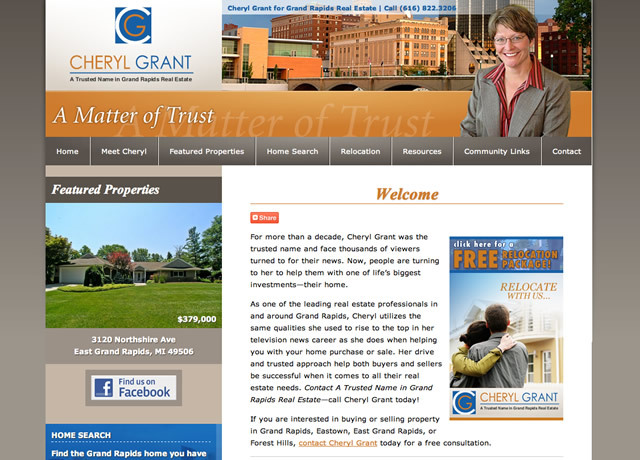 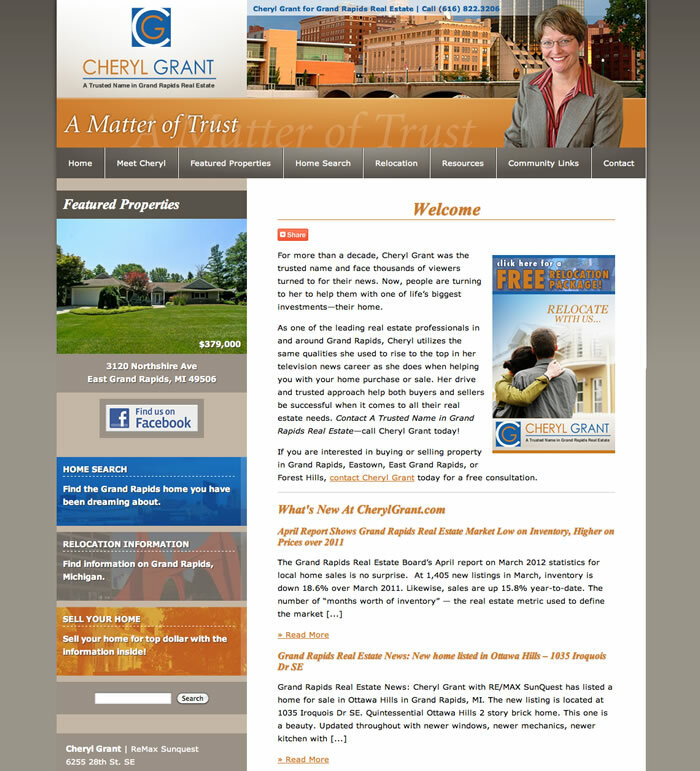 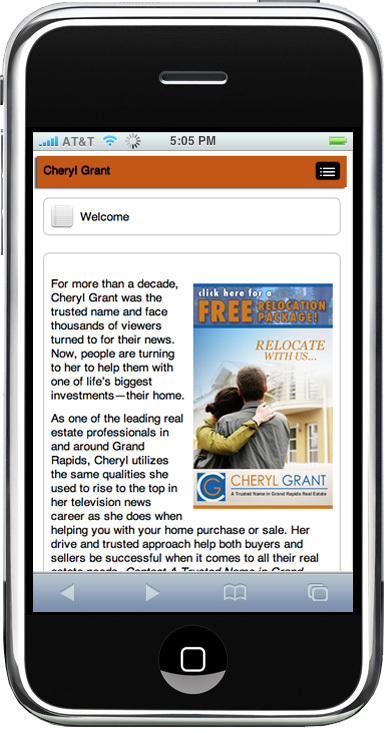 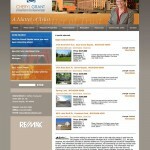 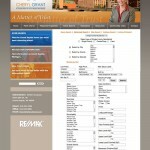 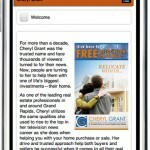 We developed two sites to help her capitalize on her two specific target markets. 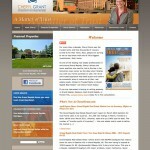 Today, we work with her and devote time each month to incorporate fresh content into her site.